This is my 100th blog post! And in celebration I've changed the layout, I hope you like it!This post was going to be on my new room but pictures still aren't hung, and its a mess as I'm packing for the seaside for two weeks tommorow. Unfortunately I've just discovered that there will be no internet in the small flat we are staying in *heavy breathing* and the last time I was without internet for more than a week I ended up doing things I normally don't do...like homework which was pretty terrifying to say the least. So there will be no blog posts BUT I will be tweeting from my Dad's Blackberry (see a link to my twitter in the sidebar or here), and taking lots of photos to share with you all. 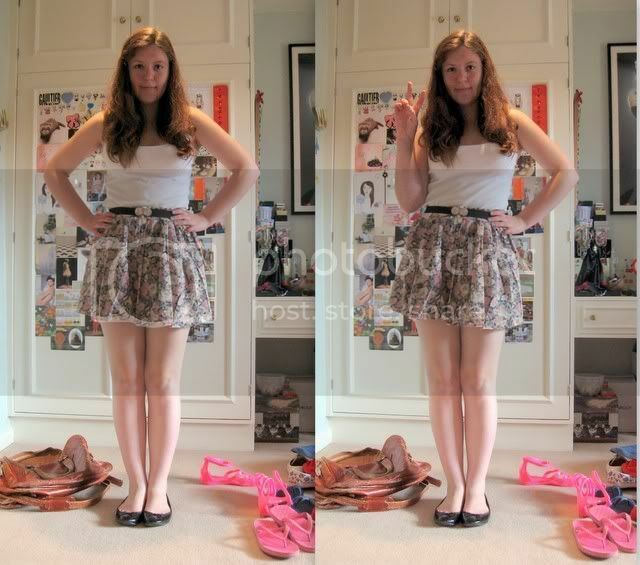 Today I am leaving you with a quick outfit post and a new blog layout so that makes me less of a terrible blogger! 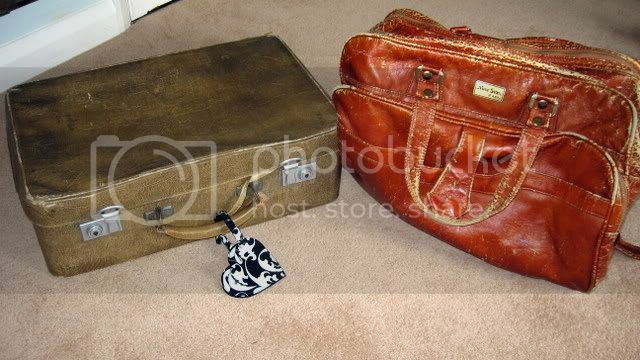 My vintage suitcases! The one on the left was my Great Grandfathers, the one on the right was my Dad's in the 80s. 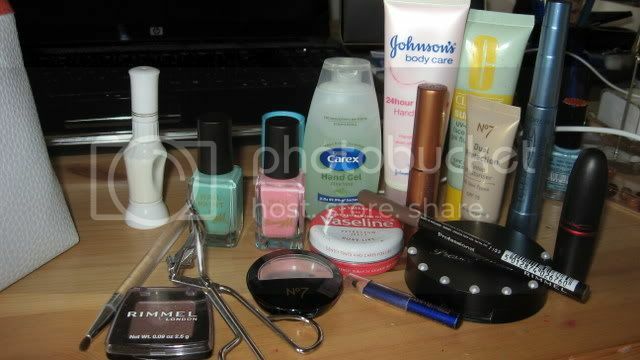 This is all the make up and nail polish I'm taking, I'm so impressed with myself! You can also see my powder compact I deco-d with flatback pearls but sadly most of them have fallen off as it turns out clear nail polish is not a good glue. All the books I'm taking, all Japanese literature I need to absorb for English! I read fast but I don't know if I'll get through all of this in two weeks. Too much for two weeks? I have wellies to take as well when I'm forced to walk across moors. Btw yes those are fluorescent pink jelly gladiator sandals, they were only £2 from New Look so I thought why not! 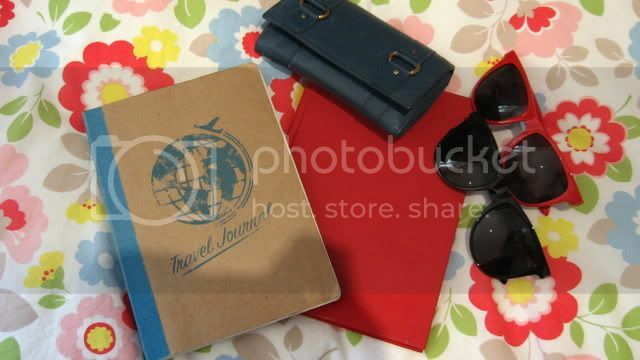 My travel journal and my novel I'm trying to write (its cliche but I'm possibly doing English with creative writing at uni so it would look good if I had something published!). I only write in my travel journal when I go on holiday or away from home for a while, so far I've recorded my visits to Marrakech, Edinburgh to see the festival, the South of France, Wales, Devon and France again. There is a reason for me posting a picture of my feet! I wanted to show you my nail art I did with these amazing polishes which have a pen and a brush so you can draw on the nail, I tried to draw flowers and vines but sadly I am not a good artist on paper let alone on nails! Congratulations! I love your spotty nails! How did you do it?? 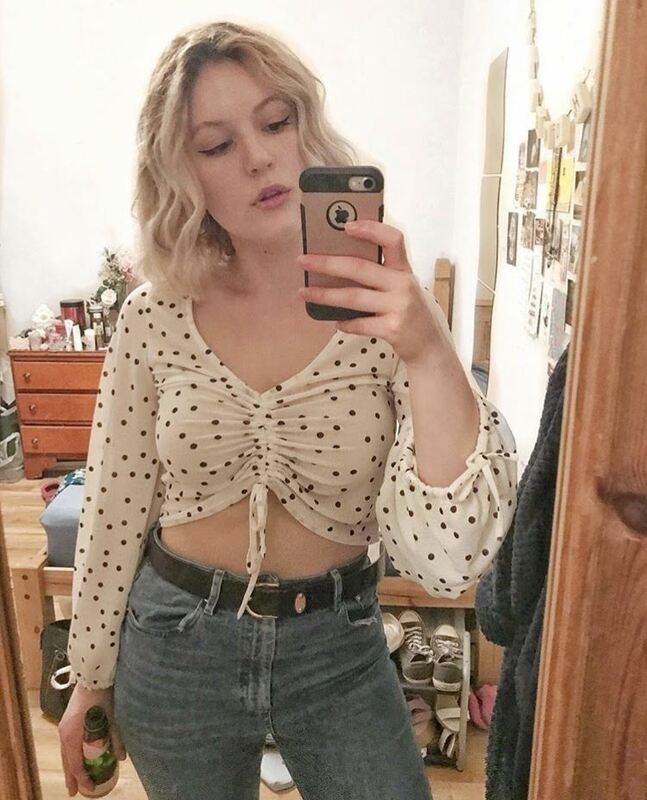 congrats on your 100th post, cute skirt you're wearing too! Love your nails. They are lovely. Have a good trip. Have a lovely time at the seaside! I love the new layout and I love the deco'd compact. I have a gel foundation compact that I've been wanting to deco for a while now but I haven't had the time to buy for the decoden project. Also love your selection of books to read for English! 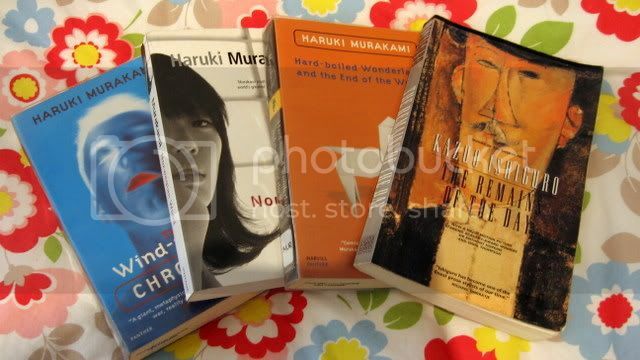 I wish I had books like that to read, hard boiled wonderland is my absolute FAVOURITE Murakami. Congratulations on your 100th post and I do like the new layout. I hope you have a wonderful trip. I'm sure it will be amazing I wish I could go away on a vacation right now. It must be so hard having no internet though I can't even imagine what that would be like.